The Asian American Journal of Psychology is extending an invitation for manuscripts to be considered for a special issue on Asian Americans and suicide. The goal of this special issue is to detail the current state of knowledge and gaps about suicide in Asian American communities, and to highlight innovative approaches to suicide prevention and management for Asian Americans through a culturally informed lens. Manuscripts that address suicide in understudied Asian American subgroups (e.g., Hmong, Laotian, Vietnamese, and Cambodian) are particularly welcome. Varied methodologies, particularly suicide note analysis or research on Asian American suicide decedents, are also of particular interest. Empirical (quantitative and qualitative) papers, meta-analytic/review papers, and theoretical-based papers are all welcomed for submission. The deadline for submissions is November 1, 2017. This special issue endeavors to make timely and important contributions to burgeoning questions about heightened or growing suicide ideation, behaviors, and deaths among Asian American subgroups, and to provide guidance for community and clinical efforts to curtail the problem of suicide in Asian American populations. Please follow the submission guidelines located on the Asian American Journal of Psychology website. Manuscripts must be submitted electronically through the Manuscript Submission portal. Please specify in your cover letter that the submission is intended for the special section on Asian Americans and suicide. All papers submitted will be initially screened by the guest editors and then sent out for blind peer review, if evaluated as appropriate for the journal. For further questions related to this special issue, please contact Frederick Leong, Joyce Chu, or Shashank Joshi. AAPA would like to congratulate the authors of “Annual Review of Asian American Psychology, 2014,” which has been chosen as the Feature Article of the December 2015 issue. Below is a brief biography the lead author, Dr. Su Yeong Kim, and a brief insight into the inner workings of crafting such an article. We hope that the readers of AAJP will find this article (as well as the other articles) informative and helpful in their professional work. The Feature Article may be downloaded for free here, and the December 2015 issue’s Table of Contents is at the end of this post. 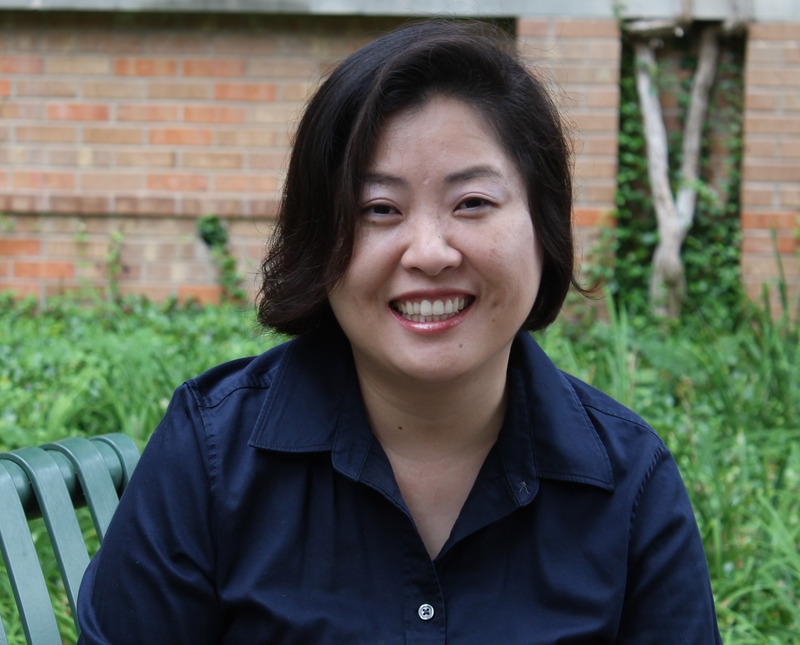 Su Yeong Kim, Ph.D., is an Associate Professor of Human Development and Family Sciences at the University of Texas at Austin. She studies the intersection of family and cultural contexts in understanding the development of children of immigrant in the United States, with a focus on children of Chinese and Mexican origin. Her research has revealed that the commonly held perception of Asian American parents as “tiger parents” is inaccurate. In fact, her eight year longitudinal study of Chinese American families demonstrate supportive parenting as the most common type of parenting leading to the most optimal outcomes in terms of both academic and socio-emotional adjustment in Chinese American adolescents. Her studies on language brokering among Mexican American adolescents reveals that children experience both a sense of burden and efficacy in translating for their non-English fluent parents, and that their perceptions of the language brokering experience relate directly to their socio-emotional adjustment. The writing of the Annual Review of Asian American Psychology for 2014 was an enormous undertaking, involving the coding of an initial set of 4,366 articles to arrive at 316 articles that met criteria for inclusion in the review. The coding and writing of the Annual Review of Asian American Psychology for 2014 involved not only six co-authors, but also more than 15 undergraduate research assistants to accomplish the feat. We were impressed with both the diversity and breadth of research on Asian Americans. Our review highlights the prominence of health related topics in Asian American psychology, and research on older adults becoming more prominent within the field of Asian American psychology. We also highlight the need for more longitudinal, developmental research in the field that samples more diverse ethnic groups among Asian Americans. Our review is the first to highlight some of the most prolific authors in the field of Asian American psychology, ranging from more recent Ph.D.’s such as Stephen H. Chen of Wellesley College to more established senior scholars like Shinobu Kitayama of University of Michigan. It is also the first to compile a list of the most frequent and prominent scholarly journals to publish research on Asian American psychology, to become an important resource for scholars in the field. The Annual Review of Asian American Psychology 2014 provides a comprehensive snapshot of current state of the field in Asian American psychology today. [Feature Article] Annual review of Asian American Psychology, 2014. Community integration of Burmese refugees in the United States. The role of cultural beliefs in disordered eating among Asian-American women. Depressive symptoms in South Asian, East Asian, and European Americans: Evidence for ethnic differences in coping with academic versus interpersonal stress? Perera, Marisa J.; Chang, Edward C.
Effects of becoming a mother on the development of ethnic and racial identities in Korean transnationally and transracially adopted women. Day, Stephanie C.; Godon-Decoteau, Danielle; Suyemoto, Karen L.
We are soliciting manuscripts to be featured in a Special Issue of the Asian American Journal of Psychology entitled “Qualitative Methods in Asian American Psychology.” The focus for this issue will be on highlighting studies that incorporate diverse qualitative methodologies to understand the complex psychological experiences of Asian Americans. Of particular interest are manuscripts that can serve as exemplars of various qualitative approaches/methodologies such as Ethnography, Phenomenology, Consensual Qualitative Research (CQR), Grounded Theory, Community Based Participatory Research (CBPR), Case Study, and Mixed Methods. Deadline for submissions will be July 31, 2016. All submissions for the special issue will undergo the same review process as any other manuscript submitted to AAJP. Drs. Nagata and Suzuki will serve as Co-Editors for this special issue. Please feel free to contact Dr. Nagata at nagata@umich.edu if you have any questions. Bryan S. K. Kim, Ph.D. The Asian American Journal of Psychology (AAJP) Editorial Board is pleased to share the contents of the September 2015 issue. The Feature Article for this issue is Racial Identity Profiles of Asian‐White Biracial Young Adults: Testing a Theoretical Model With Cultural and Psychological Correlates. Dr. Chong was interviewed by AAPA and Division on Students member, Chak Wong. Learn more about Dr. Chong and the inspiration for this study below. You can also peruse the rest of the issue’s Table of Contents. 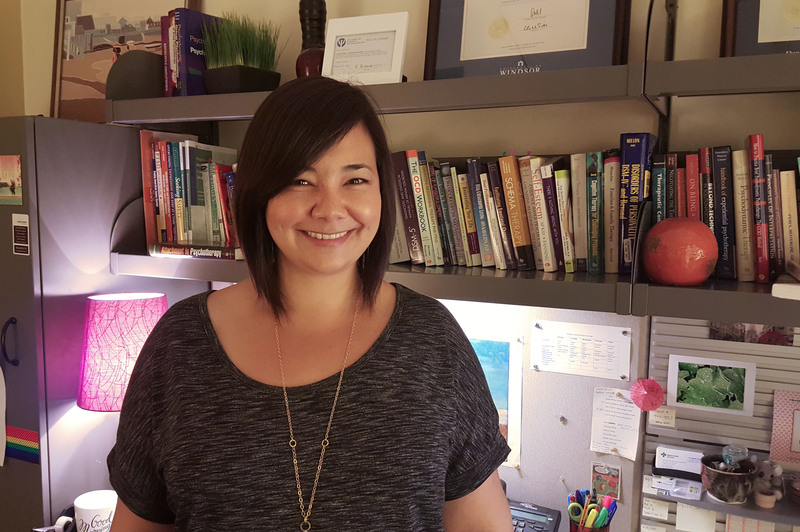 Dr. Vanessa Chong, PhD grew up in Calgary, Alberta, Canada, and attended graduate school for Clinical Psychology at the University of Windsor in Windsor, Ontario, where she became interested in cross-cultural research. Particularly, her master’s thesis explored the perceived acculturation discrepancies between Asian-Canadian young adults and their parents how family variables correlated with psychological adjustment. Her Asian-White biracial Canadian identity sparked further exploration of the extent to which Asian-White biracial experiences are similar and different from monoracial Asian individuals. In collaboration with her supervisor, Dr. Ben Kuo PhD, a full professor at the University of Windsor, her doctoral research (a portion of which was recently published in the AAJP) utilized a mixed methods study to investigate the interrelationships between biracial identity, family variables, psychological adjustment, and internalized oppression. Currently, she is working as a Clinical Psychologist in a community mental health clinic in Calgary. Psychology researchers are known for studying themselves, and I was no exception! I primarily became interested in this topic due to my own experiences with growing up as a biracial individual. Although interracial marriages and biracial children are becoming increasingly common, when I was growing up, my sister and I were the only biracial kids in our school. Being biracial truly shaped our growing up years. I can vividly remember an encounter when I was about 6 when my sister and I were in a mall and a homeless man insisted on giving us each $5 “for the children of Vietnam.” He had assumed that our White mother must have adopted us because we didn’t look like her! I have always been curious about whether other biracial people had similar experiences. Can you tell us a little bit about your current line of research? In my current work I am primarily a clinician, but I believe that an important part of being a good Psychologist is applying research to clinical practice. I have been fortunate to have the opportunity to work with a number of clients from various ethnic backgrounds, including some biracial clients. I think it is especially important to discuss and normalize the biracial identity development process in therapy, as it can sometimes be complicated and challenging. There are some experiences that are unique to biracial individuals and should be discussed in therapy,. Coming to terms with one’s racial identity is a therapy goal that can be overlooked. In addition, my research looks at internalized oppression. I find it interesting that this is a relatively common experience among both monoracial minorities and biracial individuals, yet there is relatively little research on this topic. What’s more, it is a topic that clients may not bring up in therapy, as they may have shame associated with it. In the future, I may consider publishing some really interesting qualitative data on internalized oppression from my dissertation. Any interesting tidbits you would like to share? My research on Asian-White biracial individuals has been a really personally meaningful endeavor. I was able to collect a large amount of data from a fairly large sample (330 participants) from all over the US and Canada in a span of only three months. My participants were eager to answer questions about their experiences, and I actually received several messages thanking me for doing this research. I think this is because biracial people are so rarely studied and a common experience for biracial people involves feeling overlooked and not included. I feel honored that I was able to give them a voice through my research. In doing this research, I also felt increasingly connected to a community of people that I didn’t even know I was part of! This research helped me in my own journey of biracial identity development and, because of that, it will always hold a special place in my heart.